The Life of Bon: The weirdest (and easiest!) giveaway you will ever see in blogland. The weirdest (and easiest!) giveaway you will ever see in blogland. I've decided to do something kind of crazy and definitely weird. Don't ask me my reasons because I ain't sure yet that I know what they are, all I know is that it felt good to have a giveaway that is only for instagram. All you gotta do is follow @thelifeofbon on instagram for a chance to enter. Probably the easiest giveaway in the history of giveaways. No twitter, No GFC, No comments, just good old instagram. You can share on your social media accounts for an extra entry. You can get up to three extra entries by sharing. (Either by sharing on the same outlet on different days or different outlets same day. Whatever floats your boat, people.) 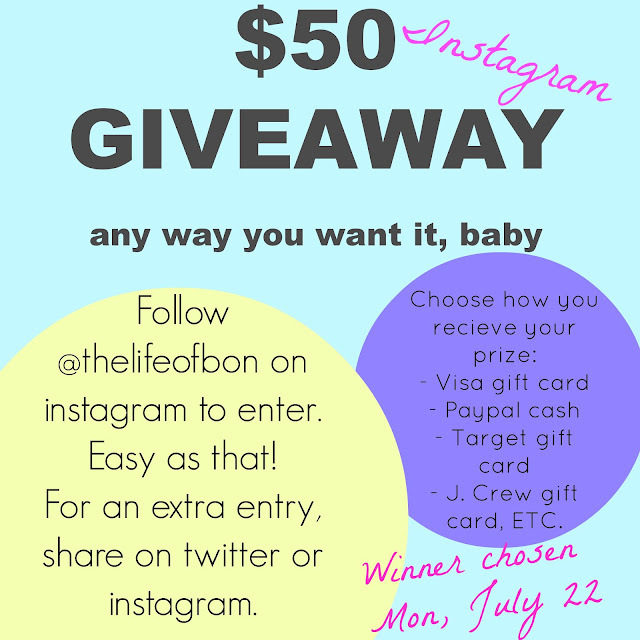 Make sure you mention me (@thelifeofbon) so that I see it and count it as an extra entry. Easy enough? Enter here. Now you're done. 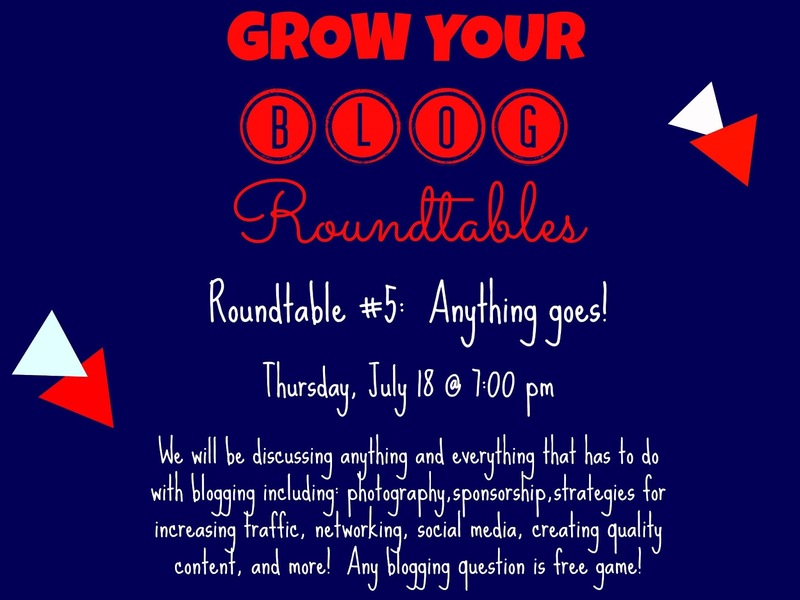 Oh, and I've still got a couple of spots open for this blogger bananza going down on Thursday night. Food, blog strategy, and meeting blog besties. What more could you want? More information here. Hit me up at thelifeofbon@gmail.com if you are interested! How's that for the most random blog post you ever read? HOW IS THAT?!? How cool...thank you for the chance! And make sure you read well when you read this post because 1st I went to instagram and swore I was already following you but I pulled up lifeofbon and boom I wasn't. So I hit follow. Then I saw that lifeofbon is actually some guy named Josh Bonfield. So then I hit unfollow as quickly as I could and realized I forgot to add the THE in there. So then I went to THElifeofbon and of course, I was already following you. Moral of the story... read the words on the page not the words in your head. I tweeted, and I follow you all over! Kinda like a stalker but much less scary! I love easy giveaways where I don't have to jump through a lot of hoops :). I'm a follower on instagram (gvatm). I definitely like this kind of giveaway! Following on instagram! I love it when I don't even have to do anything to enter a giveaway. Ha! I just entered!!! Following you on Instagram with the name @crooksy532 and tweeted the giveaway from @leggs532. So...what's the catch? LOL. I follow you on Instagram. Thanks for a great fun and easy giveaway. I am following on Instagram. @sisiainge. I reeeally need to win this giveaway. So that'd be nice. Haha. I hope my lack of luck shows up for this one!! I'm Niteowlcreates. Following you on IG!